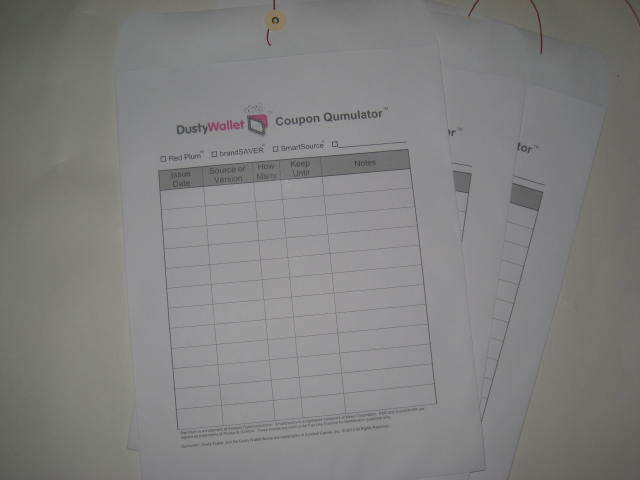 Coupon Qumulators organize your Q's! 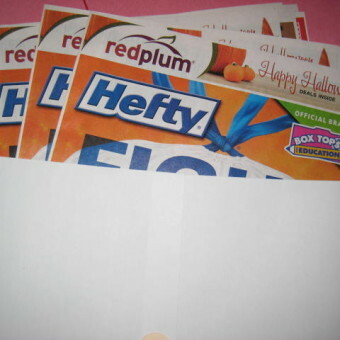 Keep your coupon inserts organized and easy to find with these reusable coupon organizers. 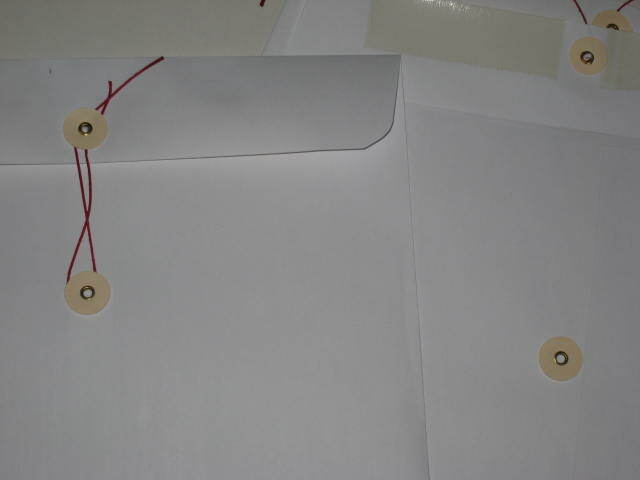 Just check off the type of insert, enter the issue date, and slip your inserts inside. When you need to find an insert, simply find its Qumulator. No more squinting at the fine print or looking at messy stacks of coupons! When the coupons in the insert are expired, just reuse the Qumulator for the next week's coupons! 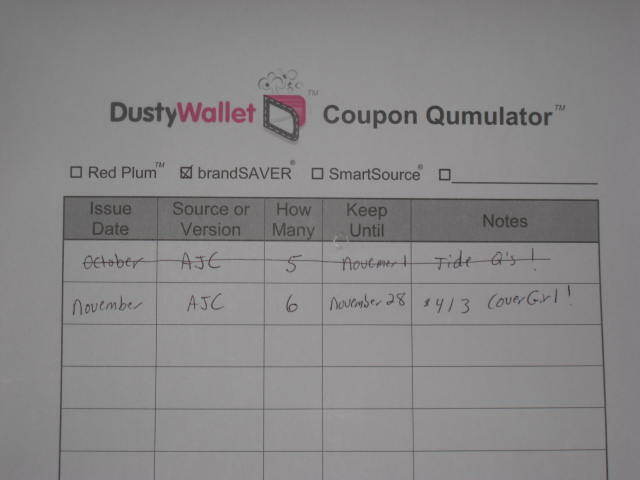 The Coupon Qumulator(TM) helps you organize your Q’s! 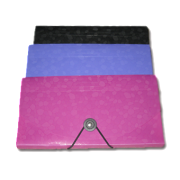 Qumulators are 10″x13″ reusable envelopes designed to organize your Sunday coupon inserts. 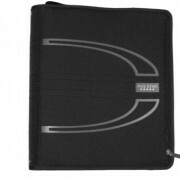 If you buy multiple Sunday papers or buy standalone coupon inserts, Qumulators are the coupon organizer for you. 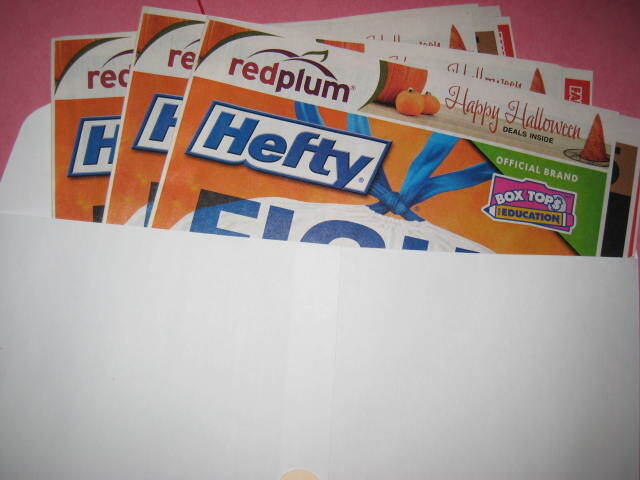 One of the easiest ways to coupon is to only clip coupons you need for the current week’s sales. When you visit a deal site, the bloggers might list SS 11/15 as the source for the coupon that matches the deal. You then need to find the 11/15 SmartSource and flip through for the correct coupon. 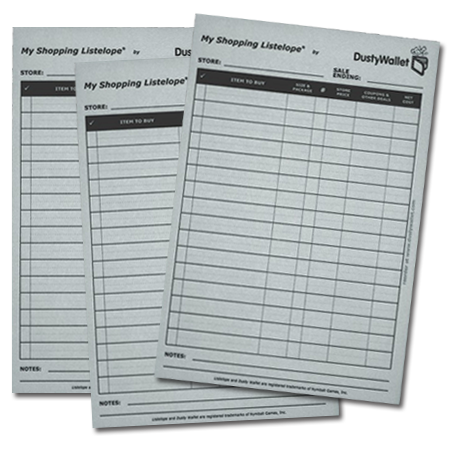 With Qumulators, you have already organized your inserts by type and issue date, so the coupons are all in one neat envelope and easy to find. When you put your new inserts away, just flip through and find the coupon with the latest expiration date. Put that date on the Keep Until line so you know when it is time to recycle the inserts. Then you can use your Qumulator again and again by marking out the old information and writing in the new insert details. We like to use the Notes section to remind ourselves of hot Q’s that we want to remember to use!